The Waste & Recycling Expo Canada / Municipal Equipment Expo Canada​​​ attracts the greatest concentration of waste companies, government officials, fleet managers and public works managers at a single event across Canada. 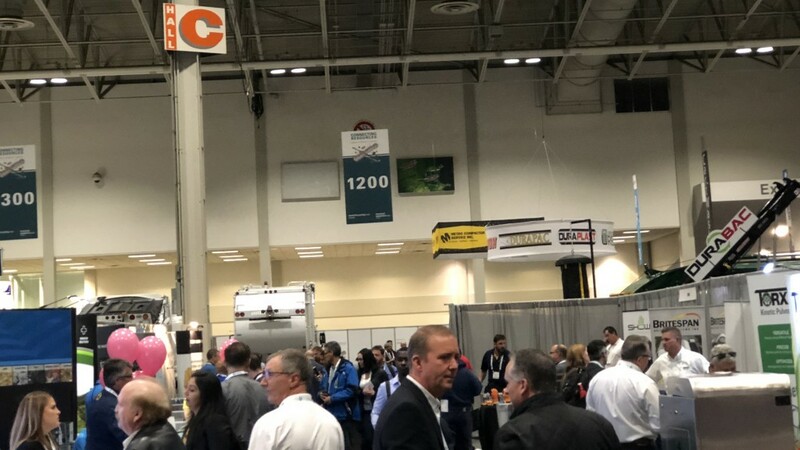 The Waste & Recycling Expo Canada / Municipal Equipment Expo Canada attracts the greatest concentration of waste companies, government officials, fleet managers and public works managers at a single event across Canada. The event provides waste, recycling and public works professionals needed to achieve success. Covering the entire spectrum of the industry, attendees will find new features to highlight the innovations driving today's market. All highlighted by the global diversity of exhibitors across Canada, the United States and abroad from China, Italy, Portugal and more. "Our show has a reputation for providing a relaxed atmosphere for business exchange with a wide presentation for every segment of the industry - attracting both loyal and new customers each year, stated Arnie Gess, show manager, Waste & Recycling Expo / Municipal Equipment Expo. Planning for even more is well underway and this year will be full of new features, an expanded exhibitor offering and a host of new innovations. Get specific show details at www.cwre.ca. The 22nd edition will be held in downtown Toronto at the Enercare Centre, October 9 - 10, 2019. To register for the event, visit www.cwre.ca/msc1.